A swarm of bees near your home is an unwanted nuisance. Bee control can be tricky, especially if you’re unsure on how to go about it. You don’t want to make the swarm mad, but you want to be sure to fully rid your property of the insects before anybody gets stung. Take control of the situation and hire the bee control professionals from Inside Out Exterminating. With a passion for their work that’s second to none in the pest-control industry, these professionals provide effective solutions that will safely eliminate any pests from homes in New Hyde Park, NY, and the surrounding area. Locate The Source: Once you eliminate the source, the problem will start to fade away. Bees tend to be more active near their nest during the early morning hours or in the evening, so Inside Out Exterminating advises using this time to check around the gutters, porch, and siding. Use Insecticides: If you’re unsure what type of insecticide to use, talk with an exterminator. Many will recommend bee control products that come in aerosol cans, which can be sprayed directly on the nest. Another popular bee-removal product is boric acid, a poison that is most effective for killing the entire swarm. Work With A Professional: The bottom line in bee control situations is to always hire a professional. An exterminator from Inside Out will have the proper equipment to safely remove the hive without endangering anyone in the vicinity. For more than a decade, this exterminator has earned a reputation among clients for their exceptional customer service. 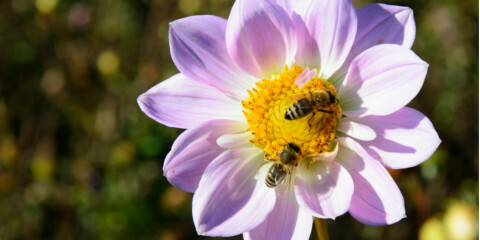 If you’ve discovered a hive and need effective bee control, call Inside Out Exterminating at (516) 641-0595. Visit their website for more information on the plethora of pest control services they offer.